One of Kansas City's own will be leading the crowd in the singing of the national anthem before Sunday's AFC Championship at Arrowhead Stadium. Grammy and Academy Award-winning singer Melissa Etheridge, who is known for her hits "Come To My Window," "Ain't It Heavy" and "I'm the Only One," announced via Twitter Tuesday afternoon that she will be performing the anthem Sunday when the Kansas City Chiefs face the New England Patriots for the AFC Championship. 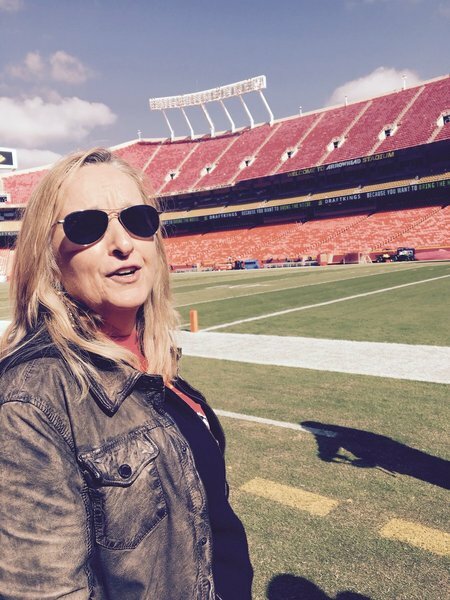 Etheridge first performed national anthem at Arrowhead Stadium before a regular season game against the Pittsburgh Steelers in 2017, which was also the first time she had been to a Chiefs game at Arrowhead.